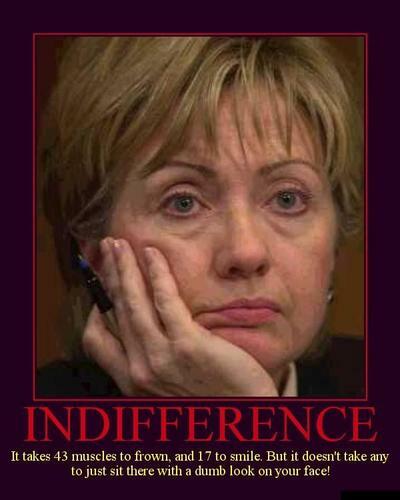 INDIFFERENCE. Quite fitting os Hillarity Clinton!. HD Wallpaper and background images in the U.S. Republican Party club tagged: democrats stupid funny facts truth politics ill.
Quite fitting os Hillarity Clinton! This is amusing, I agree. lol. I guess there wasnt anyone there to tell her what to think..